Do you want to move through life as a corporate puppet, or do you want to design your life on your own terms? Do you want to allow the traditional corporate world to stay as it is, or do you want to uplift society and leave a lasting mark? Taking control of your dreams is now more doable than ever before. This book will guide you through the fundamental steps of bringing your entrepreneurial dreams to life by sharing proven tools, hacks, and strategies to help you create an inspiring vision for your life and business. If you have big dreams, you do not have to wait to bring them to life. 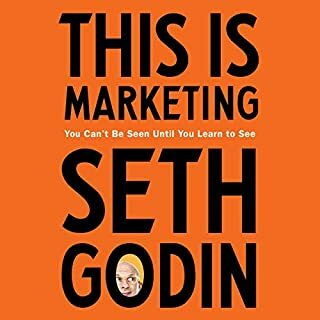 This is a listener-friendly guide that will inspire and empower you to turn your passion(s) into something extraordinary. 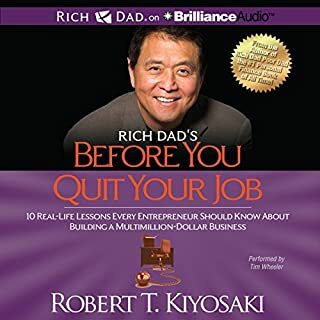 This book is a must-listen for younger and older entrepreneurs who are looking for a step-by-step resource guide on the entrepreneurial journey within the new era of business. 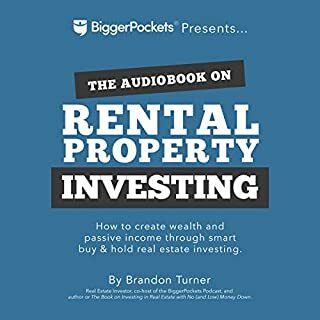 This audiobook will inspire you to keep moving forward by increasing your motivation and confidence. It will help you think big and gain better insights into the world of entrepreneurship. 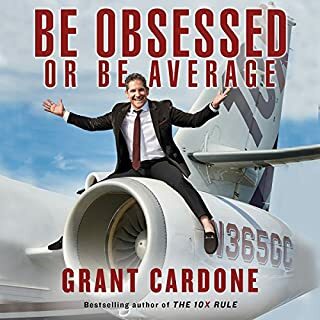 You will quickly understand what habits and traits lead to success in today’s business world. Now you can learn the tools and knowledge you need to successfully take the leap you have been dreaming of, as this book will help you find exactly what you need. We invite you to experience this authentic, informative, and vulnerable account of three young entrepreneurs who, as you listen to this, are currently working to leave our world a better place. 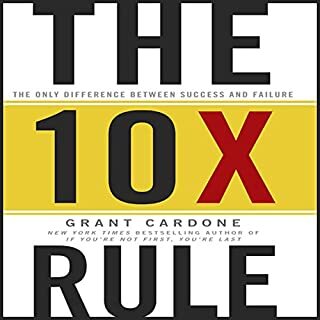 Finished this book feeling motivated, understood and most of all capable. Alex and his story I found to be especially inspiring and captivating. 10/10 would recommend. Happy to call you a close friend. Proud of you and what you are providing to others with this book! For anyone seeking to begin the journey through entrepreneurship, this is a must read. The two-week notice reflects the successes and challenges that go along with going "on your own". It speaks truth, shares wisdom, and allows it's listeners to understand, from a very personal perspective, what it's really like. Very insightful book and also had the opportunity to interview one of the authors Alex Echols about his journey. I highly recommend this book to tap inside the minds of authors who have turned their passion into profit to live their best lives. Excellent read if you want more out of life! 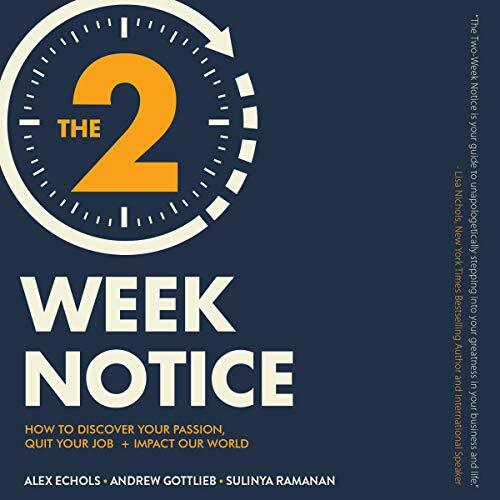 The Two Week Notice is an excellent resource for anybody who wants more out of life. 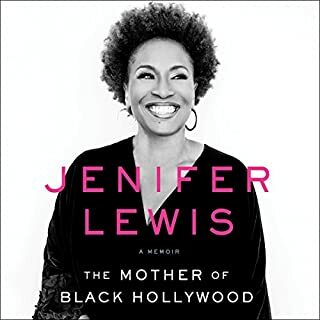 Quick, powerful read, it's full of personal stories, unique perspectives and practical advice. Whether you want to discover your passion, quit your job and or impact our world by first and foremost impacting the world of your own, this book is for you! It's my second time reading The Two Week Notice and I highly recommend it to any aspiring young (in age or spirit) leader out there.